How has your week been? I hope it has been better than mine, I went home early from work and have had a couple of days off sick. Delindel took me shopping so I would stop feeling sorry for myself, which worked. I am not ashamed to admit that that is not everything in the above photo XD. I couldn’t get it to fit in the photo. Equip had a buy one get one free sale. 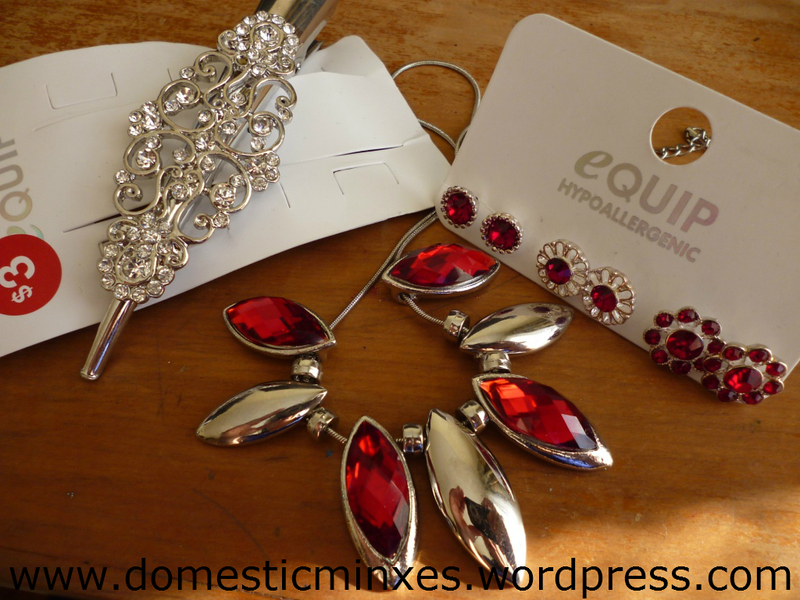 I managed to get the hair clip for $3.00NZD and the earrings were free 😮 The necklace looks very lovely on and will look nice with my new coat (so says Del). 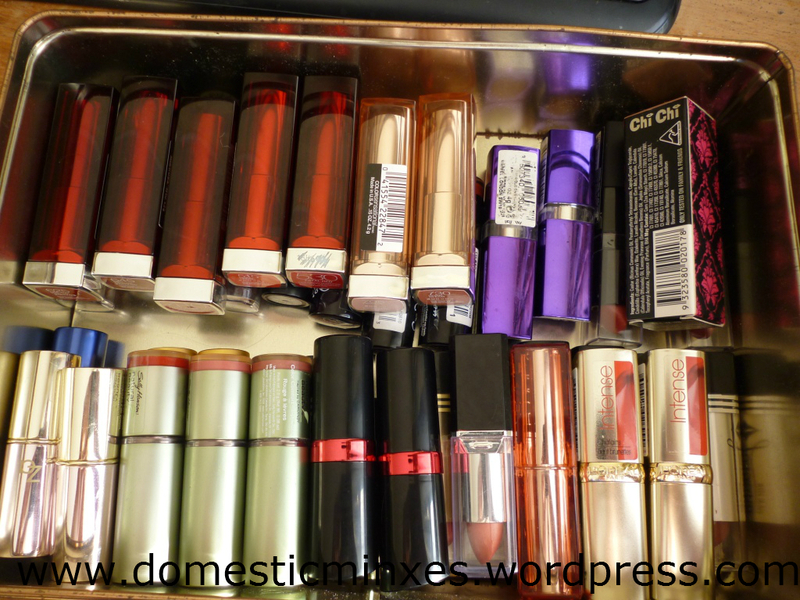 Right down the road from where I live a discount store opened up and besides chocolate and lollies they also have cosmetics. I picked up this NYC compact for $6.00, they also had NYC nail polish. I have never seen NYC in New Zealand before so this is a most excellent development. 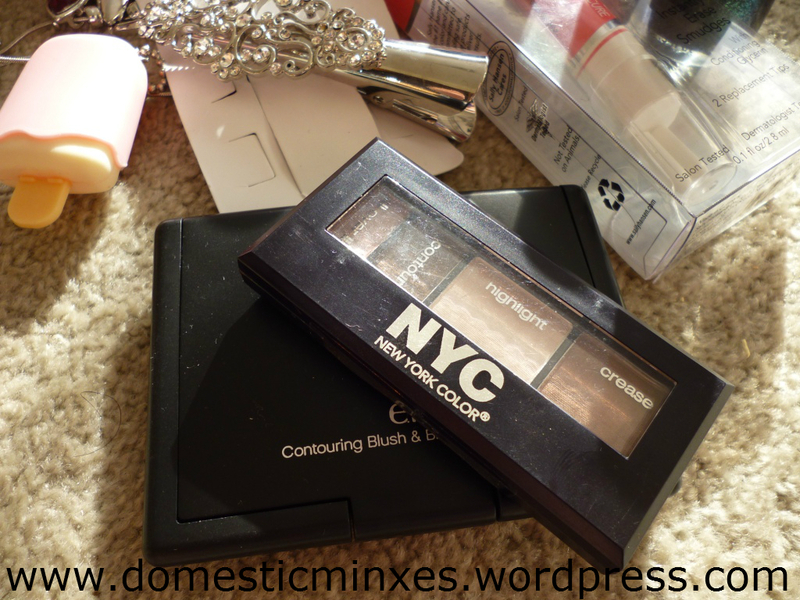 Underneath the NYC palette is E.L.F. Studio Contouring Blush and Bronzer. I managed to get myself confused in our last Beauty Joint order and accidentally ordered this instead of the blush and bronzer BRUSH for Miss Miriam. I am yet to try this out but I am quietly optimistic. Del and I spotted manicure clean up pens in a nail art video we saw and have been on the look out for one. 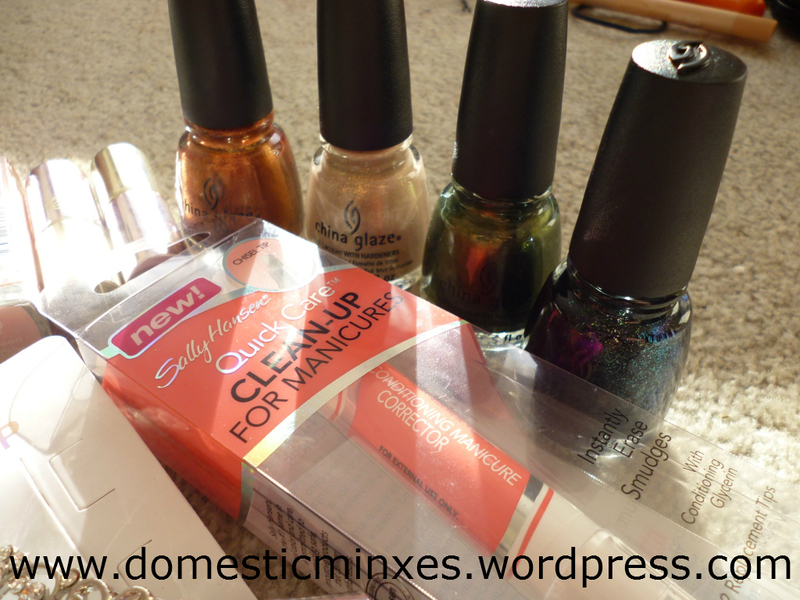 Sally Hansen was our best option and lucky for us they had 20% off and we scored the pen with two extra tips for $16.00NZD. 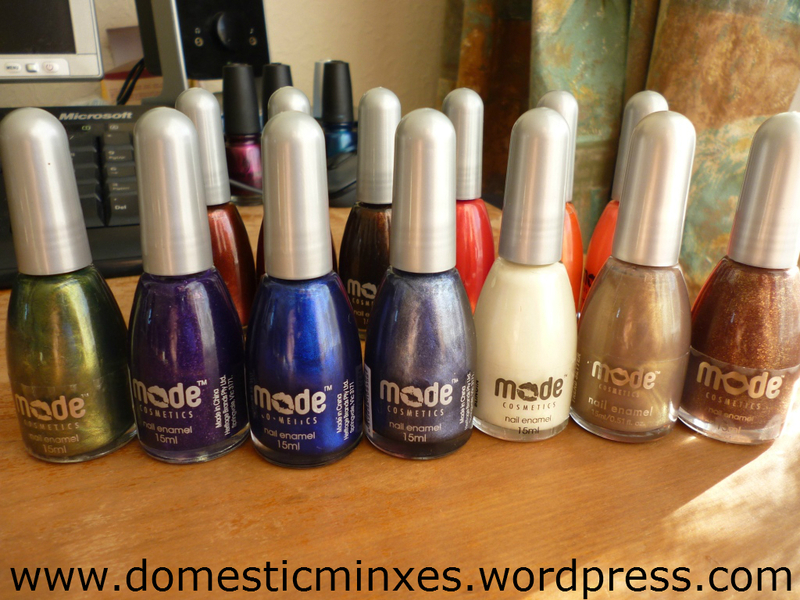 Delindel has been sharing with you some of her Mode polishes and all those swatches convinced me I needed some. Last week a Beauty Joint order came in, only a small one for me. Inside was two E.L.F. 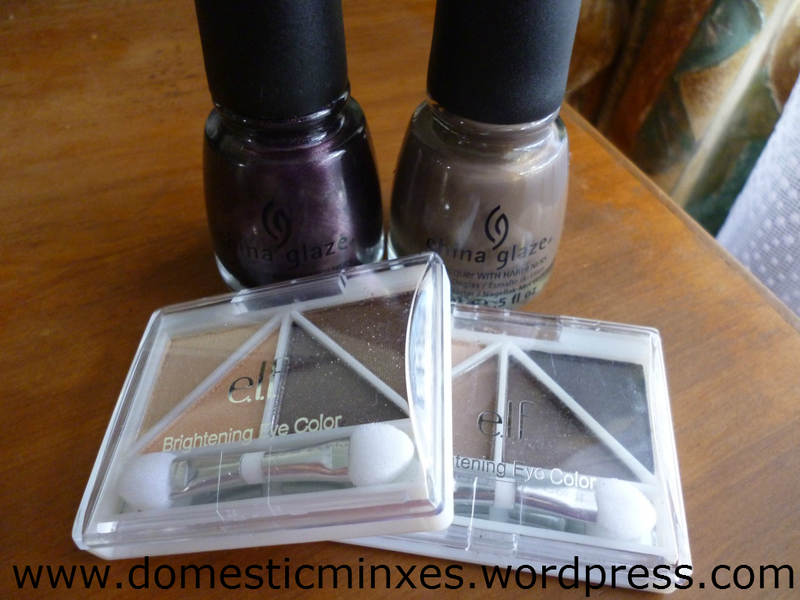 Essential Brightening Eye shadows in Brownstone and Butternut and two China Glaze polishes in Bogie and Ingrid. I promise to share these with you soon in more detail. 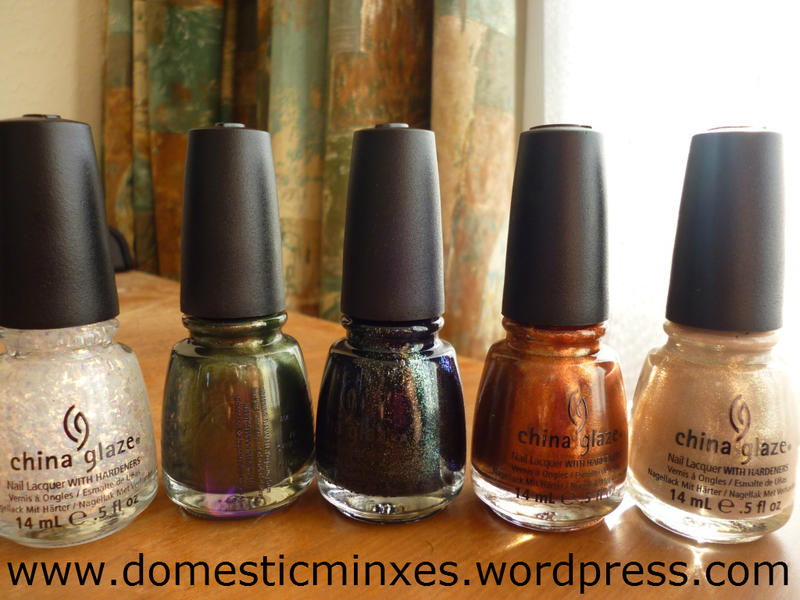 And then there was another Beauty Joint order which inside had my most anticipated order yet; five of the China Glaze Capitol Color Polishes. 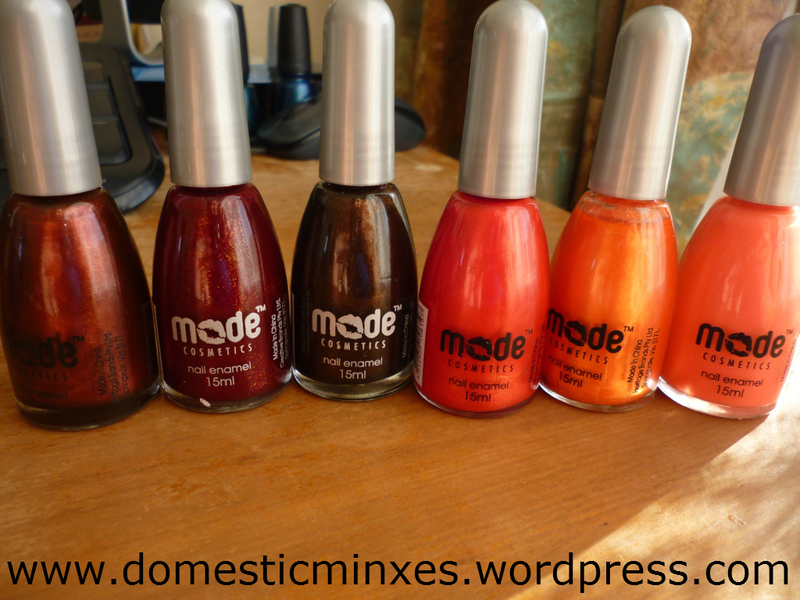 I got (from left to right) Luxe and Lush, Agro, Smoke and Ashes, Harvest Moon and Fast Track. 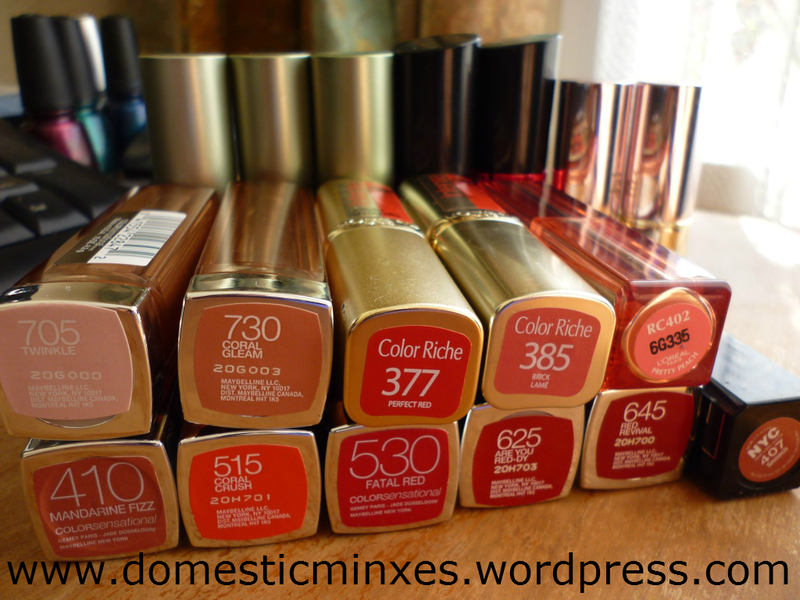 Del also got some of these and we have just put a order if for a few more, so expect to see some swatches soon. 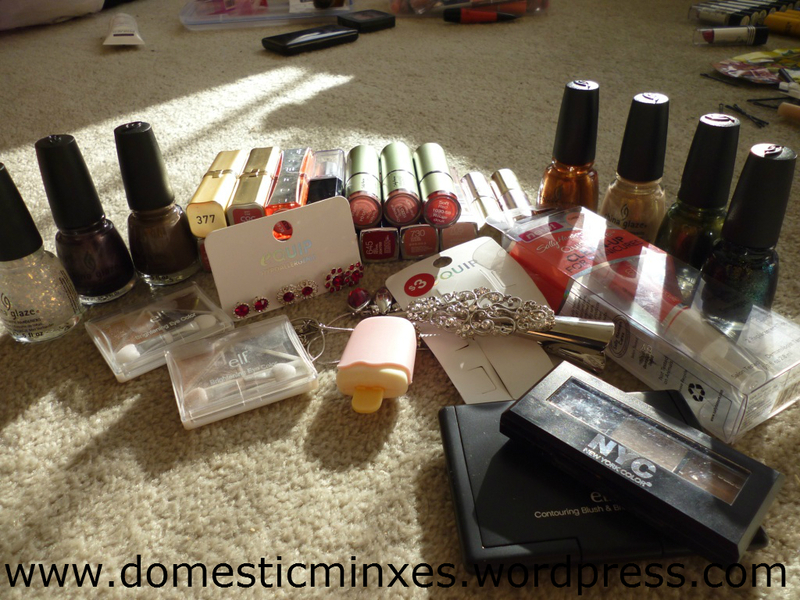 So that was my week in shopping….so far (it is pay day). Though I predict bed rest enforced by Mr Gabby, but I am sure I can slip in some swatch posts too. I hope you all have been taking better care of yourself and have been shopping, baking, reading, doing fun things. we already have another order on its way for more of the CG set :3 Not too long to wait.